To paraphrase Dr Johnson, if you’re tired of France, you’re tired of holidays. It’s the destination that never ceases to intrigue, delight and inspire. Experiencing the real France means exploring villages unchanged by centuries, witnessing local festivals, eating local dishes, and above all meeting the real people for whom those magical landscapes are the background to everyday life. With more than fifty French campsites to choose from, Canvas Holidays offers some large sites in major resorts, with all kinds of activities, clubs and entertainment. But there are also smaller out-of-the-way sites, often family-run, where you will be welcomed personally by the owners. Here the pace of life is even more relaxed, so you can take your time to enjoy the authentic culture, the sights and scents of the countryside, and of course the delicious food and wine. Pinning down the one true France is difficult – maybe impossible – and in any case it’s the varied landscape and regional differences that keep us coming back for more. We’ve picked a selection of campsites to take you closer to the real France. They are all very different and they’re all sure to win a place in your heart. Brittany is always a popular choice with Canvas customers, perhaps due a natural affinity with its rocky coves, maritime traditions and Celtic heritage. The mild climate makes it a great destination for walking or exploring the region’s long distance bike tracks, fuelled by some of the area’s famous crêpes. Stay at Camping le Châtelet in St Cast or Camping les Deux Fontaines at Raguenès. Moving southwards, you reach France’s stunning Atlantic coastline. In the Vendée region, beaches are at the top of the list of attractions so it’s easy to overlook the countryside inland, including the extraordinary marshlands of the Marais Poitevin. If you’re very lucky you might still catch a glimpse of cattle being transported in traditional flat-bottomed barges. The marshlands are one of France’s richest natural habitats, home to dozens of species of birds and fish. Unsurprisingly, local menus often feature eels and frogs. 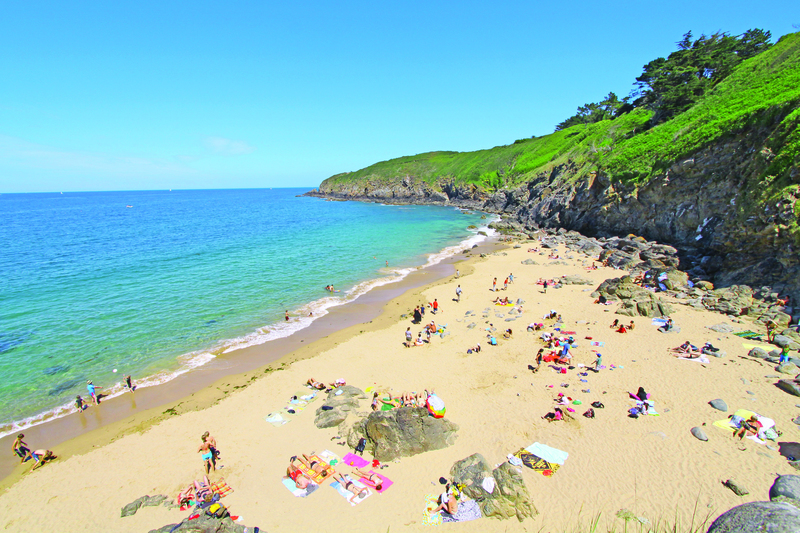 Stay at Camping la Yole in St Jean-Plage or Yelloh! Village la Forêt at St Julien to really experience the best of the region. In the Royan area, Domaine d’Oléron on Ile d’Oléron has a fabulous island setting. These campsites are perfect if you’re looking for an idyllic holiday and the chance to cycle along quiet flat roads. Royan itself was one of France’s first proper seaside resorts. The upmarket shops and large number of restaurants reflects its enduring popularity with the French themselves. A pleasant warm climate and miles of sandy beaches makes it particularly family-friendly. The town has some striking modern buildings dating from its post war reconstruction, including a covered market which is the place to go for fish as well as fruit and vegetables. And if you like oysters, you can taste them freshly caught at the small fishing town of La Tremblade. In an area with plenty of forests, mussels baked with pine needles are another local speciality. The Atlantic is a powerful ocean, and not all the local beaches are suitable for swimming. The Côte Sauvage or ‘wild coast’ requires particular care but there’s also the option of the seaside swimming pools at Conche de Foncillon. Other attractions include La Palmyre Zoo, one of the biggest in Europe, and the vineyards and distilleries of Cognac. Behind the coast lies the Forêt de la Coubre, offering beautiful walks, cycle tracks and bridle paths. The Dordogne region lies at the heart of the classical France so popular with British holidaymakers. Here you will find beautiful towns and villages in honeyed stone and some of the truly iconic dishes of French cuisine: confit de canard, black truffles, walnuts and foie gras – accompanied by luscious Cahors and Bergerac wines. Camping la Palombière is a beautiful campsite, close to the tourist hub of Sarlat and the beautiful Dordogne river. Another famous French river – this time the Loire – runs close by our campsite at Chambord, Château des Marais. The region is home to the tarte tatin and wines such as Vouvray, Sancerre and Pouilly Fumé. It’s exciting to drink great wines ‘at the source’, and one of the best places to do just that is in the Burgundy region, where Château de l’Epervière at Gigny-sur-Saône is set in the grounds of a 16th Century château. Should you tire of visiting wine cellars, you can always track down some Dijon mustard to take home. If Paris can be ‘touristy’, then we’ve found the perfect antidote in the form Camping les Etangs Fleuris at Touquin. It is a small, family-run site deep in the countryside yet within easy reach of the capital and the Disneyland theme parks. Gastronomic treats not to miss here are brie and (of course) champagne. For something different again, try La Ferme de la Serraz, a small campsite near Lake Annecy in the French Alps. 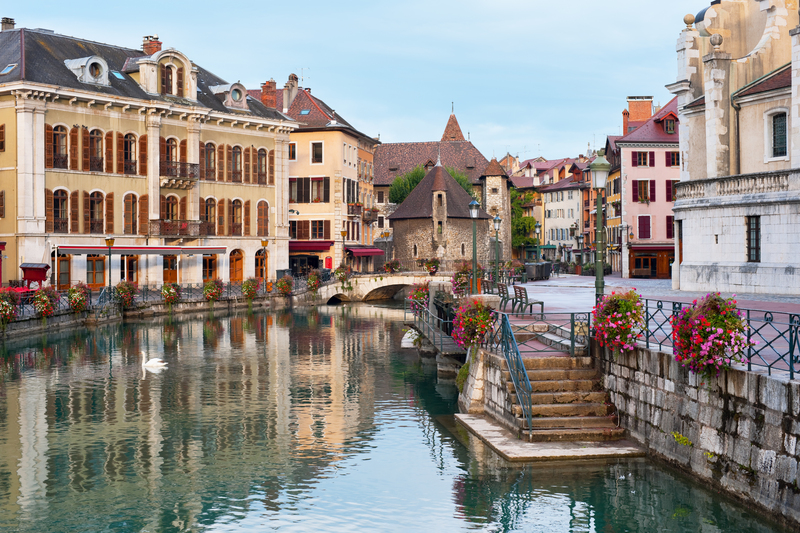 This is a great choice for walkers, or for exploring the picturesque town of Annecy itself, with its flower-lined canals, cafés and medieval buildings. The local food is simple and robust, with plenty of potatoes and melted Raclette de Savoie. Last but not least, Camping la Bien Assise at Guînes is perfect for a short break, not only for its closeness to the Channel ports, but also because everything you need is on site, including an excellent restaurant. Regional food and drink to look out for includes salt marsh lamb, Soissons beans, Tarte au Maroilles (cheese tart), and numerous beers and ciders. If we’ve whetted your appetite for the ‘real’ France, that’s good news. Enjoy forest walks, visit local markets, explore quaint old towns and villages and order your favourite local dishes. A day out in Carcassonne, Languedoc-RoussillonSport or spa? Love France, been there twice with Canvas, already booked up for next year with Canvas, going to the Vendee again, trouble is we have to wait a whole year before that holiday, never mind something to look forward to. Canvas is a great company to go with, the couriers are hard working and so helpful, the Mobile homes are lovely and the sites are exceptional so no competition from other companies. Thanks Annette – I’m sure your holiday will be here before you know it! Plenty of time to plan what to do when you are away! !